From the beginner wanting to learn the basics, to the advanced knitter, crocheter, spinner, or weaver looking to take home a new skill, we have a class for everyone. Check out our latest classes below! Can't make it to one of our regularly scheduled classes? Need help finishing or starting a project? Ran into some trouble? Join us for our project workshops where we offer Knitting with Katherine each week. Stop by anytime we don't have a class, pull up a chair at our table, and enjoy some knitting time! We also have some comfy chairs up front for you to take it easy and knit the day away. Sometimes you just need a night out with a good glass of wine and an even better ball of yarn. 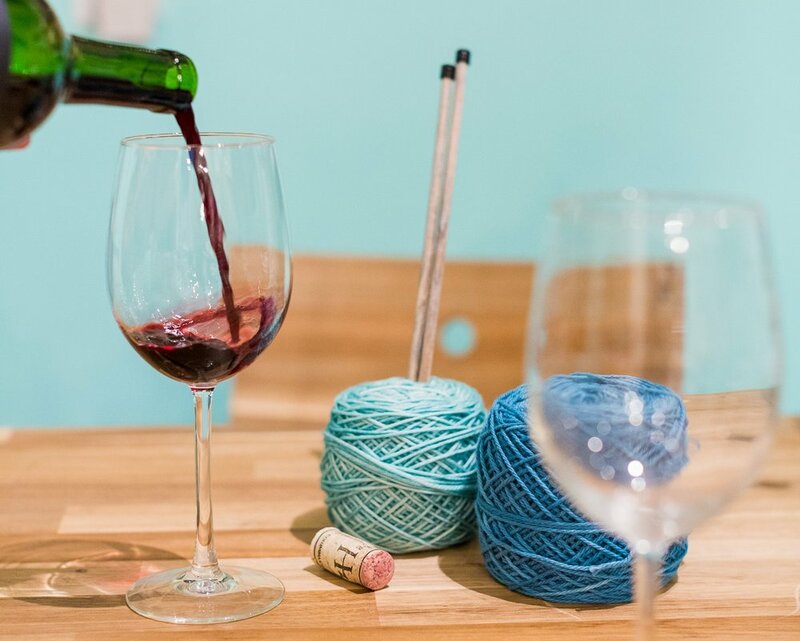 If this sounds enticing, then we would like to cordially invite you to join us at one of our Wine & Knit Nights — we promise it will leave you in stitches.